“…the music I’ve been crafting [& soon releasing!] are of the most vulnerable kind. I’ve collected my lessons & the content never seems to end lately. these songs are the product of what I’ve found beneath the silence, what I’ve found behind the applause & expectation. In a time in history where the power of a person’s story is being taken seriously maybe for the first time, courage is popping up everywhere & I have not been unaffected by that message. so, this is me showing up, telling my story & telling the truth. it’s exciting, terrifying & altogether humbling…” You know when you come across a new artist every once in a while, that wow’s you and then you think ‘where have they been hiding all along?’? Nicole Serrano is one of those artists. I first heard about her music last year when she sang on Chris Tomlin’s track “I Stand In Awe”- and I was transfixed and hooked by her passion for Jesus, and also by her emotion and honesty laid bare. While I reckon this year is when we’ll hear Nicole’s debut album or EP; now is the time for us to hear Nicole’s latest two singles, which showcases her heart for creating authentic music that glorifies Jesus. 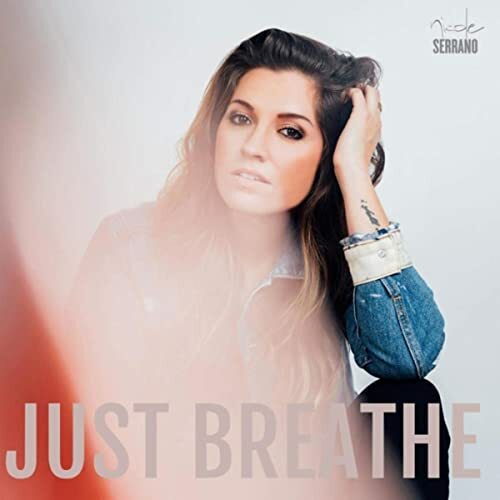 With an uncanny vocal similarity to Brooke Fraser, Nicole has unveiled “Just Breathe” and “Broken And Open”. Both are enthralling and captivating, and while the former is a pop song with the persona singing to a loved one going through a hard time- and asking them slow down and breathe in order not to be overwhelmed with life; it is “Broken And Open” that speaks to me the most. Led by the piano, the heartfelt melody is an emotional open declaration and admission that just because we’re going through hard times and trials, doesn’t mean that God has forsaken us and has forgotten us. In fact, being broken is a symptom of this world and not of anything God has done- but rather I reckon, and Nicole relays this to us too, that sometimes allowing ourselves to be human and vulnerable and open allows for character growth. Being broken admits our need for a Saviour; so I think this song is necessary for us to keep in touch with our human side and acknowledge that we need help in life. We can’t go through life alone- and we need Jesus; so thanks Nicole for “Broken & Open” in particular for dispelling the myth that being broken means we’re suddenly not Christians. Being broken simply means that we need Christ more than ever. 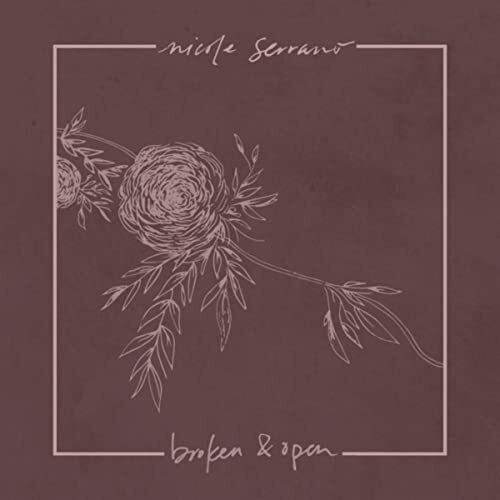 Nicole Serrano’s two new songs are a joy to listen to as I anticipate her new album or EP releasing this year or next year! Guaranteed to have a bright future musically, and maybe sign to Bowyer & Bow (Chris Tomlin’s label); there’s nothing more that I can say about Nicole and her music! Just sit back and listen, allowing God to minister to your soul! I guarantee you will be changed and your soul renewed and refreshed!